Being the second trailer for the summer release directed by Jon M. Chu this one gives the audience a bit more backstory on what's happened since the last G.I. Joe adventure and what looks to take place this time around. Wisely the story does somewhat pickup where 'Rise' left off, Zartan is still disguised as the President and he begins a plan to wipe out the Joe's and place COBRA in command. It is a huge vote of confidence that Paramount went out and got actors like Dwayne Johnson and Bruce Willis to provide some big name appeal. I think these guys will help to ease the pain most felt from the last movie. It also looks like while the technology is still very much fantasy (like the comics and cartoons) this installment looks to be a bit less stylized and more realistic in nature. Like I said earlier, I've been ready for more Joe action since the end of 'Rise of Cobra' but I think this new trailer does a good job of bringing the people who really did not like the last installment and want something different from the iconic franchise back into the theaters. "G.I. 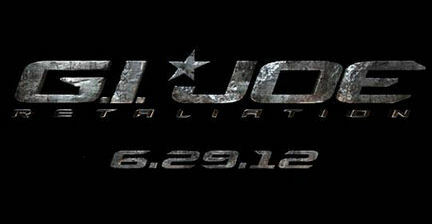 Joe: Retaliation" releases June 29th, 2012.